The review of the implementation of the DESD at the World Conference has led to the development of strategies for ESD activities after 2014. With the target date of the Millennium Development Goals and the Education for All objectives approaching in 2015, and two years after the Rio+20 conference, the World Conference have highlight the crucial role ESD plays for the next set of global education and development goals. It has made significant contributions to the post-2014 education and sustainable development agendas. The 2014 UNESCO World Conference on Education for Sustainable Development (ESD) marked the end of the UN Decade of ESD (2005-2014) and launched of the Global Action Program (GAP) on ESD. Under the banner of “Learning Today for a Sustainable Future”, the Conference celebrated the achievements of the Decade, identified lessons learnt while setting the stage for the future of ESD. DU ISE asoc. 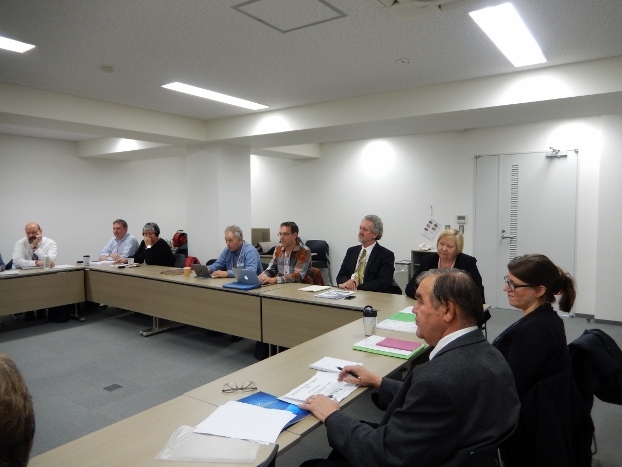 professor Dzintra Ilisko and UNESCO chair holder at Daugavpils University Profesor Ilga Salite has attended the 8th Biennial Meeting of the International Network of Teacher Education Institutions Associated with the UNESCO Chair on Reorienting Teacher Education to Address Sustainability in Okayama, Japan that took place in 14 - 17 November, 2014 in Japan. The IN meets biennially in countries around the world in even numbered years. Biennial meetings have been held in Canada (2000), South Africa (2002), Sweden (2004), Finland (2006), Turkey (2008), France (2010) and Canada (2012). The International Network of Teacher Education Institutions is associated with the UNESCO Chair on Reorienting Teacher Education to Address Sustainability at York University in Toronto, Canada. 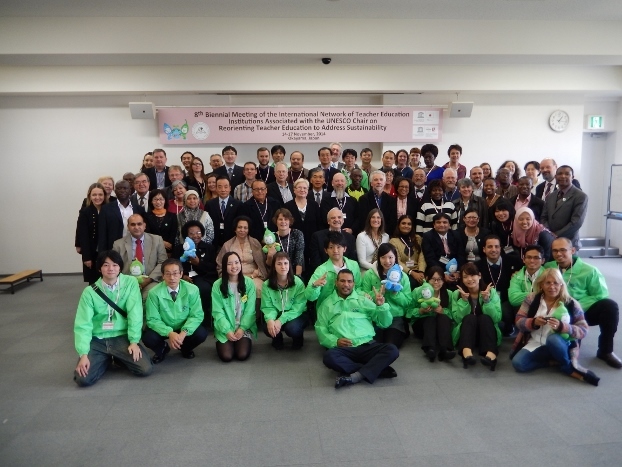 The International Network is comprised of teacher education institutions from about 60 nations around the world. The member institutions work to incorporate sustainability into their programs, practices and policies. Each member institution addresses environmental, social, and economic contexts to create locally relevant and culturally appropriate teacher education programs for both pre-service and in-service teachers. During this meeting the participants discussed the challenges of Global Action Program on ESD and post 2014 agenda.